The Rosebud Sioux Tribe (Sicangu Lakota Oyate) and the Fort Belknap Indian Community (Assiniboine (Nakoda) and Gros Ventre (Aaniiih) Tribes) in coordination with their counsel, the Native American Rights Fund, on September 10, 2018, sued the Trump Administration for numerous violations of the law in the Keystone XL pipeline permitting process. The Tribes are asking the court to rescind the illegal issuance of the Keystone XL pipeline presidential permit. In an unprecedented action, President Trump has attempted to circumvent the law by issuing TransCanada yet another presidential permit for the Keystone XL pipeline. This new permit is a blatant attempt to avoid any environmental analysis for the pipeline that United States law and courts have required. 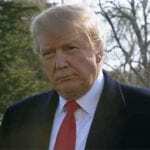 President Trump’s attempt to circumvent the judicial branch is extremely troubling because he has elevated the profits of a foreign corporation above the will of the American people and the laws of the United States. The Rosebud Sioux Tribe and Fort Belknap Indian Community have government-to-government treaties with the United States that the President cannot violate. The Tribes are entitled to protect the health and welfare of their people and territory and to ensure that their treaties are upheld. The Native American Rights Fund and our clients will continue to fight to ensure our treaties are upheld and that the health and welfare of our people is protected. Back in 2017, the mainline of the Keystone pipeline ruptured in South Dakota outside of the Lake Traverse Reservation, home to the Sisseton Wahpeton Oyate. The spill, more than 400,000 gallons of unprocessed crude, is the seventh largest on-shore spill since 2002. While TransCanada replaced topsoil and reseeded the area affected by the spill, it will take decades for the lasting damage of the spill to be known and remedied. Last month, the Keystone base pipeline spilled in Missouri; while the spill was caught early and a small amount of crude was lost, the fact that it spilled speaks volumes to the safety of such projects going forward. NARF stands with our clients, the Rosebud Sioux Tribe and the Fort Belknap Indian Community, in their staunch opposition to the completion of the Keystone XL arm of the pipeline system. The KXL phase of the pipeline cuts directly through the traditional homelands of our client tribes. In addition, the possibility of damaging community water supplies, valuable agricultural lands, and wildlife habitats is not a cost our clients are willing to bear on behalf of a foreign extractive company propping up a dying energy industry. The cost is too high. Join the Rosebud Sioux Tribe and the Fort Belknap Indian Community in their defense of their homelands, water systems, and communities from the Keystone XL pipeline. Choose life, choose water, choose to be a Modern Day Warrior. NARF has two important updates regarding our defense of the Rosebud Sioux Tribe and the Fort Belknap Indian Community against the Keystone XL pipeline. Earlier this week, NARF filed a motion to intervene at the Ninth Circuit Court of Appeals in the Indigenous Environmental Network v. U.S. Department of State case regarding the federal permit for the Keystone XL pipeline. See our request for intervention. In addition to the intervention, a hearing has been scheduled in Rosebud Sioux Tribe et al v. United States Department of State et al. on April 10, 2019, in Montana. This hearing will focus on the United States’ motion to dismiss. NARF and our clients are confident in our claims against the construction of the pipeline, and we are optimistic the court will not allow this case to be dismissed. See our original complaint filed. The Keystone XL pipeline would cross the United States border into Montana, then cut through the Great Sioux Reservation, as set forth in the 1868 Fort Laramie Treaty, in South Dakota and finally Nebraska to Steele City where the crude would mix with US crude reserves and continue to Texas for export. TransCanada has begun construction of the Keystone XL pipeline near the Rosebud Reservation, just a week after the Rosebud Sioux Tribe (Sicangu Lakota Oyate) and the Fort Belknap Indian Community (Assiniboine (Nakoda) and Gros Ventre (Aaniiih) Tribes) sued the Trump Administration for its illegal approval of the pipeline. Bulldozers were seen this week grading the land in Tripp County, South Dakota, adjacent to Rosebud lands. Construction has begun despite the fact that there are three lawsuits currently going on. 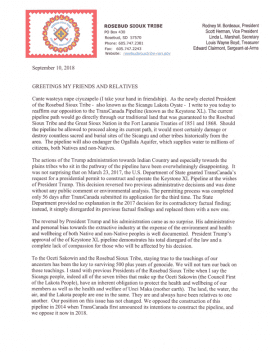 The one filed by Rosebud Sioux last week cites the fact that the Trump Administration has not undertaken any analysis of: trust obligations, the potential impact on tribal hunting and fishing rights, the potential impacts on the Rosebud Sioux Tribe’s unique water system, the potential impact of spills on tribal citizens, or the potential impact on cultural sites in the path of the pipeline. This is in violation of federal law. 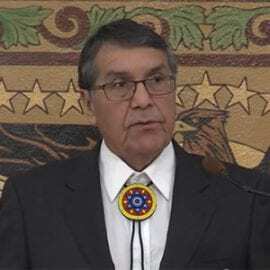 The Rosebud Sioux Tribe and the Fort Belknap Indian Community intend to move ahead with their claims against the United States and to demand that the United States honor its legal obligations. The Rosebud Sioux Tribe (Sicangu Lakota Oyate) and the Fort Belknap Indian Community (Assiniboine (Nakoda) and Gros Ventre (Aaniiih) Tribes) in coordination with their counsel, the Native American Rights Fund, on September 10, 2018, sued the Trump Administration in the U.S. District Court for the District of Montana, Great Falls Division, for numerous violations of the law in the Keystone XL pipeline permitting process. The Tribes are asking the court to declare the review process in violation of the Administrative Procedure Act (APA), the National Environmental Policy Act (NEPA), and the National Historic Preservation Act (NHPA) and to rescind the illegal issuance of the Keystone XL pipeline presidential permit. Snaking its way from Alberta to Nebraska, the pipeline would cross the United States-Canada border in Philips County, Montana, directly adjacent to Blaine County and the Fort Belknap Indian Reservation. The pipeline would cross less than 100 miles from the headquarters of the Fort Belknap Indian Reservation and run directly through sacred and historic sites as well as the ancestral lands of the Gros Ventre and Assiniboine Tribes. 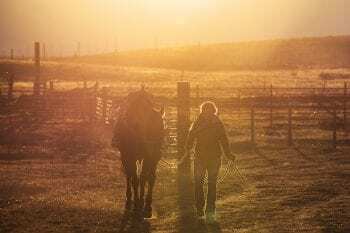 In South Dakota, the pipeline would cross through Tripp County, just miles from the boundaries of the Rosebud Indian Reservation and within yards of Rosebud’s trust lands and tribal members’ allotments. These lands are well within the area of impact for even a small rupture and spill. There are countless historical, cultural, and religious sites in the planned path of the pipeline that are at risk of destruction, both by the pipeline’s construction and by the threat of inevitable ruptures and spills if the pipeline becomes operational. Additionally, the Rosebud Sioux Tribe operates its own water delivery system, which is part of the Mni Wiconi Rural Water Supply Project. The pipeline would cross the two sources of water for the Mni Wiconi Project. Despite all of these facts, throughout the permitting process, there was no analysis of trust obligations, no analysis of treaty rights, no analysis of the potential impact on hunting and fishing rights, no analysis of potential impacts on the Rosebud Sioux Tribe’s unique water system, no analysis of the potential impact of spills on tribal citizens, and no analysis of the potential impact on cultural sites in the path of the pipeline, which is in violation of the NEPA and the NHPA. President William Kindle of the Rosebud Sioux Tribe (Sicangu Lakota Oyate) promised continued vigilance in light of the Nebraska Public Service Commission’s decision today to permit TransCanada Corp.’s proposed Keystone XL pipeline to cross that state’s lands. The Rosebud Sioux Tribe has retained the Native American Rights Fund (NARF) to represent its interests with regard to the Keystone XL pipeline. The pipeline’s proposed route crosses through traditional Lakota homelands and treaty territories, and will affect not only the Rosebud Sioux Tribe, but also Native Nations in Montana, South Dakota, and Nebraska. It also endangers the Ogallala Aquifer, which supplies water for Native and non-Native users’ residential and agricultural needs on the High Plains in eight states. See the open letter from President Kindle for more information on the Rosebud Sioux Tribe’s position. Listen to more voices from the community on the NARF YouTube channel. The Keystone XL (KXL) Pipeline is the proposed Phase 4 of the Keystone Pipeline system, which already is online with a capacity to carry more than 500,000 barrels per day. The XL stands for “export limited.” If completed, KXL would add another 510,000 barrels of capacity. 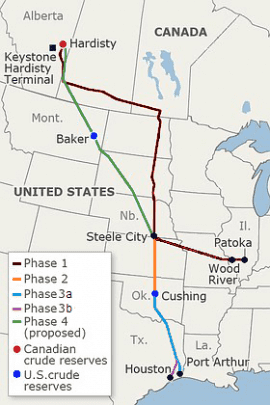 Phase 1 of the Keystone Pipeline was permitted in March 2008. Phase 2 and 3 did not require Presidential Permits and were built over several years starting in 2010. Because it crosses the U.S.-Canada border, Phase 4 does require a Presidential Permit; however, it has been met with opposition since its initial proposal. A timeline of the Keystone Pipeline project is below. Tribes and the United States government sign Treaties of Fort Laramie establishing respective territories. February: TransCanada Corporation proposes the Keystone Pipeline project. September: Canada’s National Energy Board approves the Canadian section. January: ConocoPhillips acquires a 50% stake in the project. March: The U.S. Department of State issues a Presidential Permit authorizing Keystone facilities at the U.S.-Canada border. September: TransCanada and ConocoPhillips file an application for the Keystone XL Phase 4 extension. Pipeline representatives start visiting landowners potentially affected by Keystone XL. Opposition emerges in Nebraska. June: TransCanada announces it will buy ConocoPhillips’ stake in Keystone. March: Canada’s National Energy Board approves the Canadian section of the Keystone XL. June: Phase 1 of the Keystone Pipeline goes online. It runs from Hardisty, Alberta, to Patoka, Illinois. June-July: Increased opposition to Keystone XL includes legislators and scientists speaking out against the project; the Environmental Protection Agency questions the need for the pipeline extension. July: The State Department extends its review of Keystone, saying they need more time for review before a final environmental impact assessment can be released. February : The Keystone-Cushing Phase 2 of the pipeline goes online. It connects Steele City, Nebraska, to Cushing, Oklahoma. August: The State Department releases its final environmental assessment that the pipeline would have a limited environmental impact. August-September: Keystone XL protesters organize two weeks of civil disobedience at the White House. Police arrest approximately one thousand people. December: U.S. legislators pass a bill with a provision saying President Barack Obama must make a decision on the pipeline’s future in the next 60 days. January: Obama rejects the Keystone Pipeline, saying the December bill did not allow enough time to review the new route. Obama says TransCanada is free to submit another application. February: TransCanada announces it will build Phase 3 of the Keystone Pipeline as a separate project that is not subject to presidential permission, since it does not cross an international border. April: TransCanada submits a new route to officials in Nebraska for approval. May: TransCanada files a new application with the State Department for the northern part of Keystone XL. January: Nebraska Gov. Dave Heineman approves the proposed route for Keystone XL, sending the project back to the State Department for review. Pipeline opponents file a lawsuit against the Nebraska government claiming the state law used to review the new route is unconstitutional. January: The Cushing MarketLink Phase 3a pipeline goes online. It connects Cushing, Oklahoma, to Port Arthur, Texas. Phase 3b is added later, connecting the pipeline from Port Arthur to Houston, Texas. February: A Nebraska judge rules that the law that allowed the governor to approve Keystone XL over the objections of landowners was unconstitutional. Nebraska appeals. April: The State Department suspends the regulatory process indefinitely, citing uncertainty about the court case in Nebraska. November: TransCanada says the costs of Keystone XL have grown to US$8 billion from US$5.4 billion. Elections turn control of the U.S. Congress over to Republicans, who pledge to move forward on Keystone XL. January: The Nebraska Supreme Court narrowly strikes down the lower-court decision, ruling that the governor’s actions were constitutional. The U.S. Senate approves a bill to build Keystone XL. February: Obama vetoes the bill. November: The Obama administration rejects TransCanada’s application to build the Keystone XL pipeline. January: Trump signs a presidential memorandum inviting TransCanada to resubmit their application for a Presidential Permit and directing the Secretary of State, Department of the Interior, and Department of the Army to fast-track the decision. He also signs an order requiring pipelines in the United States to be built with U.S. steel. March: The Trump White House exempts the Keystone Pipeline from the requirement to use U.S. steel. September: The Rosebud Sioux Tribe and the Fort Belknap Indian Community, in coordination with their counsel, the Native American Rights Fund, on September 10, 2018, sued the Trump Administration in the U.S. District Court for the District of MT for numerous violations of the law in the Keystone XL pipeline permitting process. *Photos by Todd Klassy. 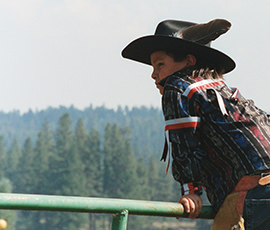 To see more Montana Native American photos, go to www.toddklassy.com.